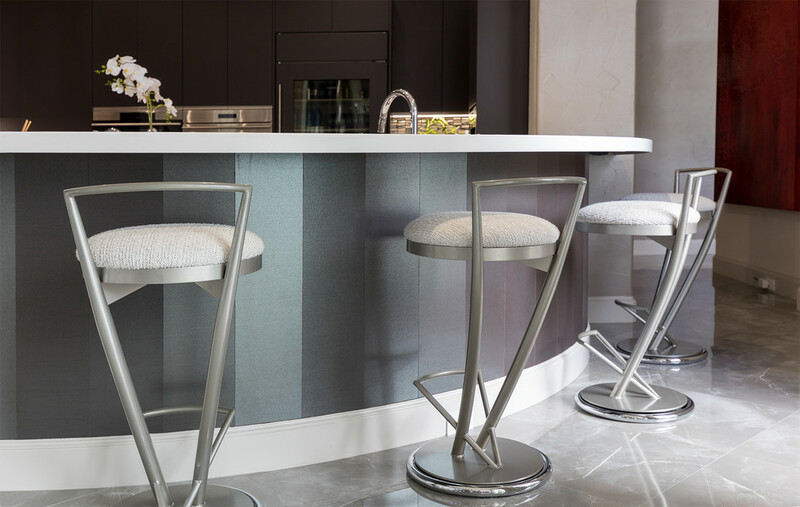 This contemporary kitchen will surely intrigue the viewer to want to know more. 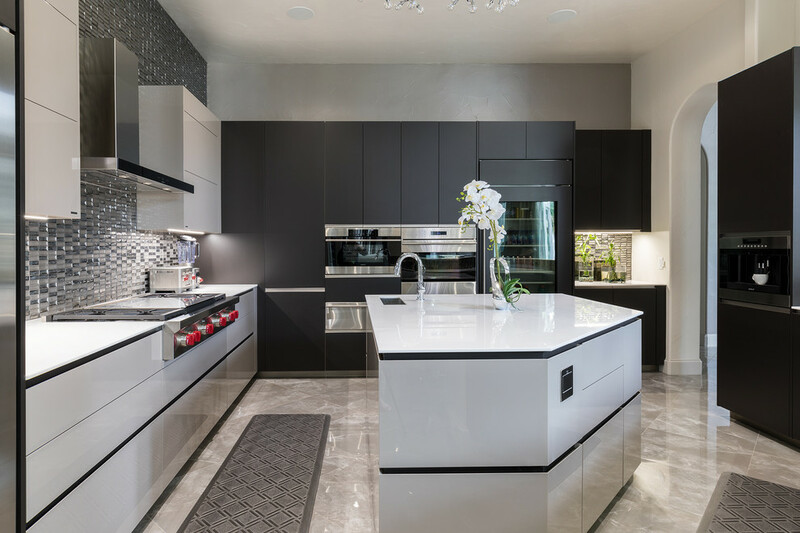 Custom features are throughout with the most outstanding being the stainless skinned refrigerator doors. Cabinets include electronic openers for upper cabinets and pop out and flip out plugs. Sub Zero-Wolf appliances were the choice for this client. 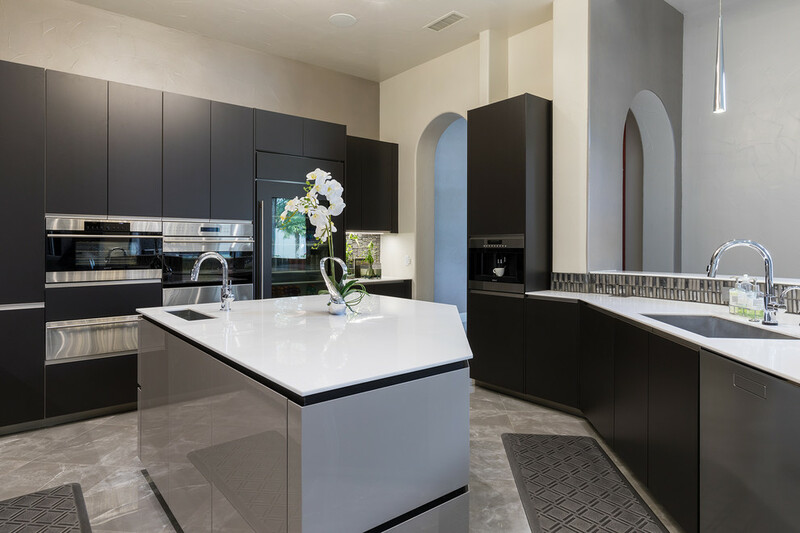 Exquisite dimensional tiles provide the backdrop for this beautiful kitchen.